What I've come to realise while I was reading all of these paranormal books in preparation for this month is that I absolutely love werewolf books. I really think that werewolves are my favourite paranormal creature! I was only planning on reading a couple of werewolf books so that there would be some balance between paranormal types, but I was really hooked into reading more and more of different werewolves. And I think the reason that I love werewolf books as much as I do is because it touches on something that I really struggle with and have always searched for in my own private life - that of belonging. I love the sense of knowing that pack members are always there, usually loyal and steadfast. I love the idea that there are these connections to other people similar in strength to family members. 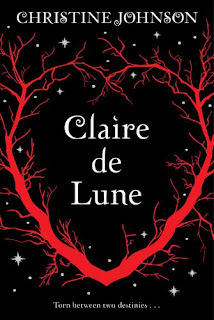 So while I was excited to read Claire de Lune by Christine Johnson, especially as it concerns a mythical creature who is dating a human boy and also that the werewolves are all female, I was a bit disappointed. There is a really serious lack of bonding between Claire and her other packmates. In fact, Claire is told to avoid spending any time together with them at all aside from pack meetings. Together with the very cold and distant relationship that Claire has with her mother, and already I'm having mixed feelings about this book. Which is a shame, as it seems like it could be a new and fresh look at werewolves. 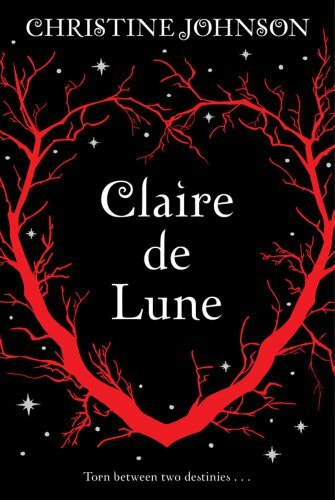 I do like the girl-powerness of all female werewolves, and the fact that in Claire de Lune world the existence of werewolves are common knowledge. So much so in fact, that whole committees have been created in order to study and exterminate werewolves. And rather disturbingly, Claire's love interest, Matthew is the son of the leading spokesperson against all werewolves which makes Claire and Matthew's burgeoning relationship take on a dangerous edge. Perhaps in the sequel, which is already available, some of these issues might be resolved? I did find myself continually guessing at the identity of the bad person and I liked Claire and Matthew well enough to continue reading but perhaps I won't rush immediately to read the sequel. I was so excited to get this when it first came out, but I just haven't picked it up. I feel a little less guilty now! Really interesting review. I think you make a really interesting point about the appeal of belonging and pack nature in werewolf books, I'd never really thought about it before but I can definitely identify with that.